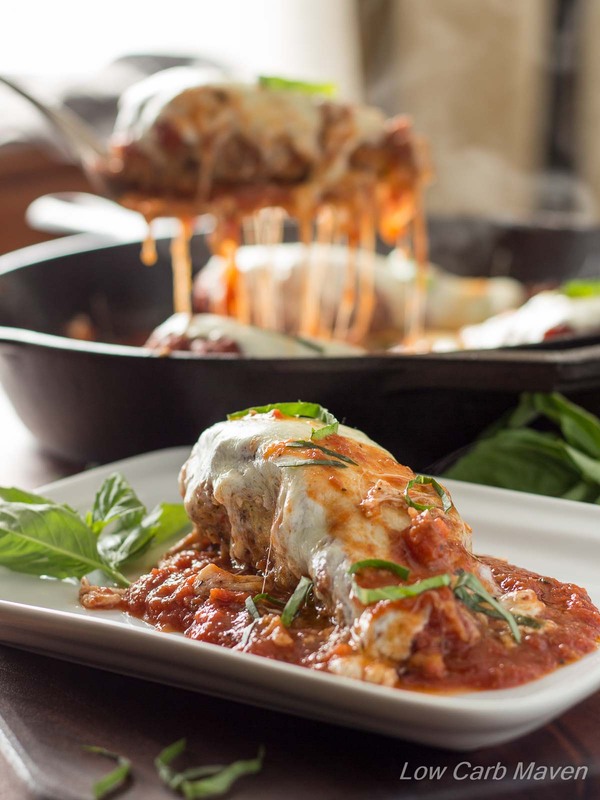 This collection of Ten Low-Carb Skillet Meals has some great ideas for cooler-weather cooking if it’s still too hot to turn on the oven where you are! And doesn’t everyone love a meal that cooks in one pan? 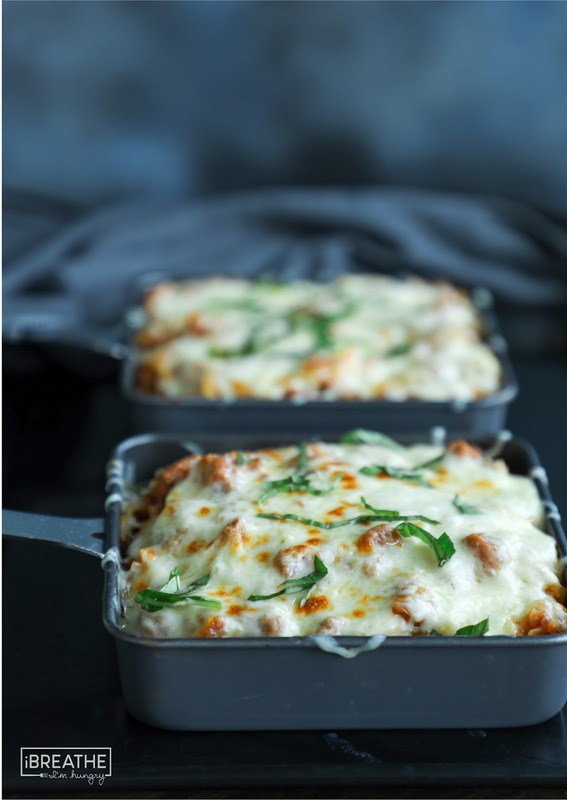 Use Recipe Round-Ups to find more low-carb recipe round-ups like this one. 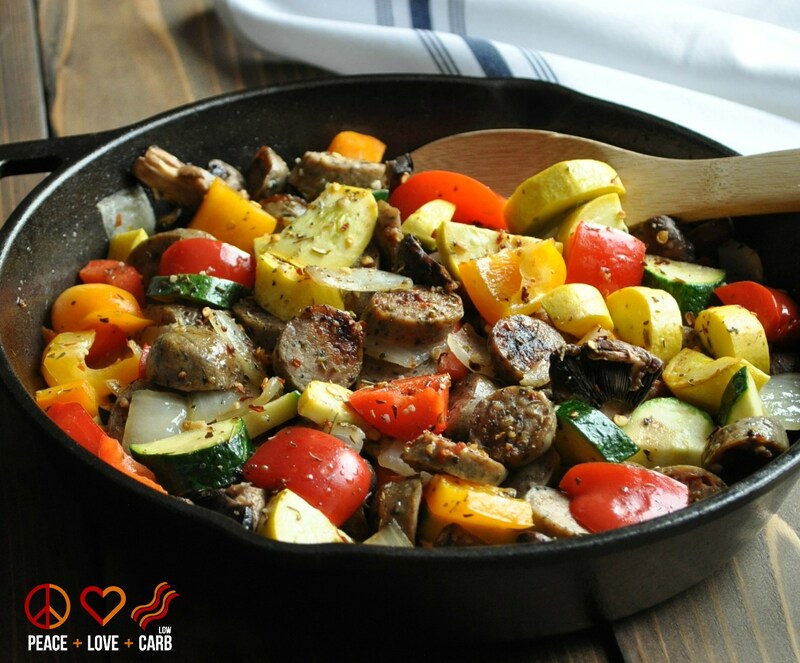 Click here to PIN Ten Low-Carb Skillet Meals! I’m a huge fan of cast iron skillets, which are inexpensive, literally last forever, and cook beautifully, especially for high-heat cooking like browning meats and flash-frying vegetables. You can buy enamel-coated cast iron, but truthfully I think there’s something wonderful about a plain old-fashioned black cast iron skillet like the one my Grandma Denny used to use. 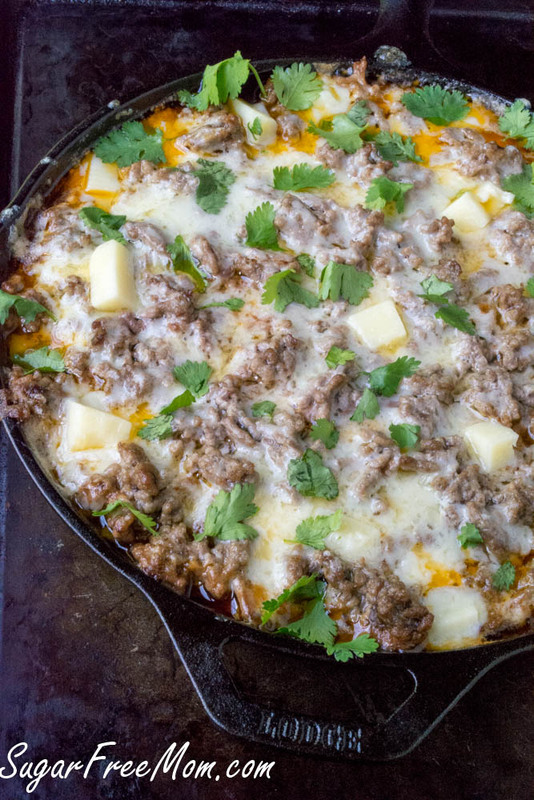 I’m giving you a fun variety of skillet meals to entice you to cook over the weekend using ingredients like chicken sausage, chicken with green olives, spaghetti squash, beef with Mexican flavors, sausage, eggs, shrimp with bacon, and plenty of recipes with cheese. Photos are copyrighted to the blog that originally posted the recipe. Just click the recipe name under each photo to see the full recipe on the original blog. 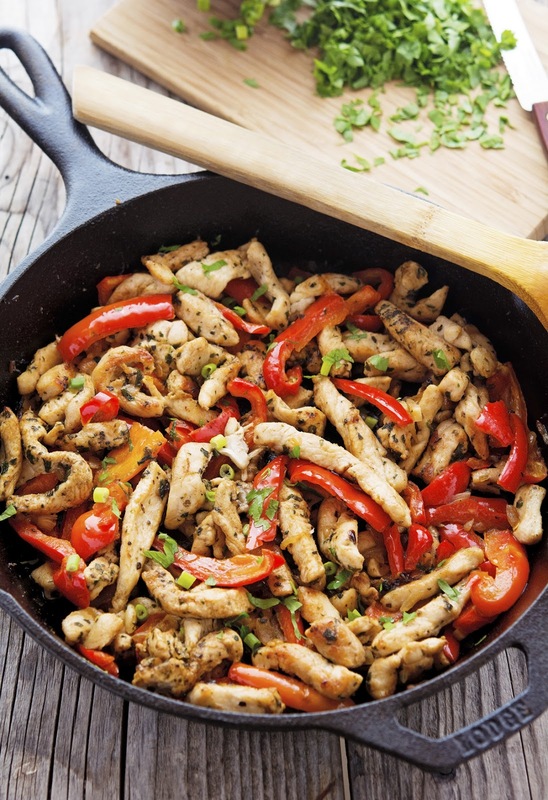 Enjoy the Low-Carb Skillet Meals! And if you have a favorite low-carb meal that cooks in one skillet, please tell us about it in the comments! Use Low-Carb Recipes to see all the low-carb recipes that have been featured on this site. Want Low-Carb Meatless Recipes? I’ve got a new Pinterest board for that! Low carb is the way to go! Thanks, I’ve always wanted to try one of these. Cast iron skillet cooking was never popular with my mother or grandmother, so I didn’t inherit a well broken-in pan. That would have been so much fun to cook in! Lydia, cast iron pans really are great, especially for browning things! I like the list of skillet meals you have put together. Usually, in a list of 10, there might be 2 that look like something I’d fix and eat myself. I liked all 10 of yours! Oh, and I love your name! My daughter is also named Kalyn, Kalyn Elizabeth. So glad you liked the list. And fun to hear from someone else with the name Kalyn. Do you pronounce it Kay Lynn like I do? My mother thought she made up the name, but I have run into a few people with the same name through the years. Thank you so much for including one of my recipes in this scrumptious roundup! My pleasure; your food always looks great! What brand and size skillet do you have? There are so many choices on Amazon. I don't want a non-stick one (ughhhh chemicals!). Just an old fashioned cast iron needed! I have several sizes and brands, but the one I use the most is the 12 inch Lodge Cast Iron Skillet that's in the photo with the One Pan Low-Carb Greek Chicken Chicken above. You definitely do not need non-stick with a pan like this. Mine is very old, so it's well-seasoned! Thank you for including my Chicken Cordon Bleu in your round up!